West of Pueblo and south of Cotopaxi, you'll find the little town of Westcliffe tucked up into the Sangre de Cristo and Wet Mountains. Boasting a unique culture of genuine friendliness and intense community, this little town is a gem in the crown of the mountains. And if you think for a moment Westcliffe is a sleepy little town with very little to do, you'd be vastly mistaken. Of course there's the Colorado staples; horseback riding, whitewater rafting the Arkansas River, hiking, biking, ATV and off-roading, skiing and snowboarding closeby, dog sled riding, cross country skiing and ice fishing. But wait, there's more. 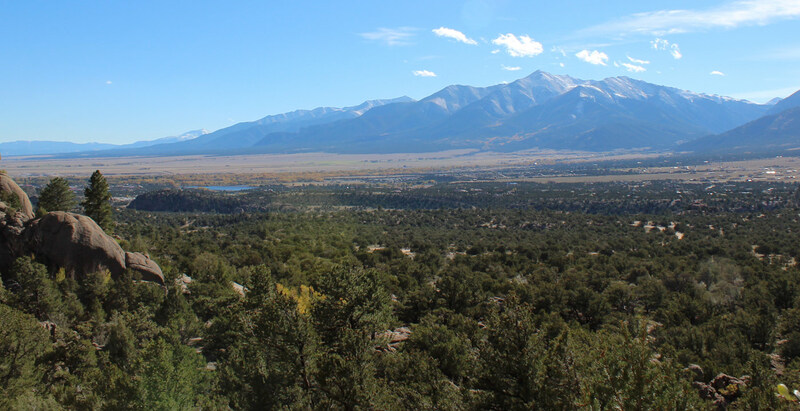 Come to Westcliffe and experience a genuine castle in the hills, a wolf sanctuary you can tour and a rodeo. You can climb to Columbia Point, named and set with 2 monuments to honor the brave souls who perished in the first and last voyage of spaceship Columbia in 2003. You can check out the Music in the Valley summer festivals including a blues festival and a western days themed event. You can learn a thing or two about western history in the Silver Cliff and Westcliffe museums or relax and take in some live performance art. For a small town, Westcliffe has more going on than you can shake a stick at. And we have a really big stick. Search our pages for specific listings of outfitters, rentals, recreation events, lodging, real estate and ways to entertain yourself while in this beautiful little town.